With rituals completed, fifteen Barre Rotarians and two guests helped themselves to a buffet luncheon of roast beef, salad, mac and cheese, squash and cookies. Caroline was first on her feet with a report of her interview as a candidate for district governor. She and the interview committee came to the same conclusion: she lacked Rotary maturity with only four years of membership. The district will fund her attendance at a zone conference as an indication of their support for her continued interest in the office. Joe was next with a dollar, citing that his wife twenty nine years ago also told him that he need more maturity and he is still working on it. Ted was recognized for his altruistic behavior of going to his truck to retrieve quarters for the parking meter for a fellow Rotarian. 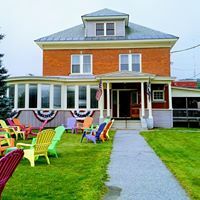 It was pointed out that Ted was schooled early in his career on dollars and coins under the tutelage of George Milne at the Granite Bank along with four other current members of the Barre Rotary Club. George then threw five Happy Dollars in the basket in celebration of his granddaughter’s upcoming marriage. Sue introduced our summer resident member, Doug Bullett, from Bon Air, Virginia. She also announced our newest member, Joe Shadroui, and birthdays and anniversaries. Birthdays: David Gold, Reta Sanders, John Pandolfo and Joe Shadroui. Anniversaries: Sandy Rousse—6 years; Bill Rossi—38 years; and Bertil Agell—27 years. 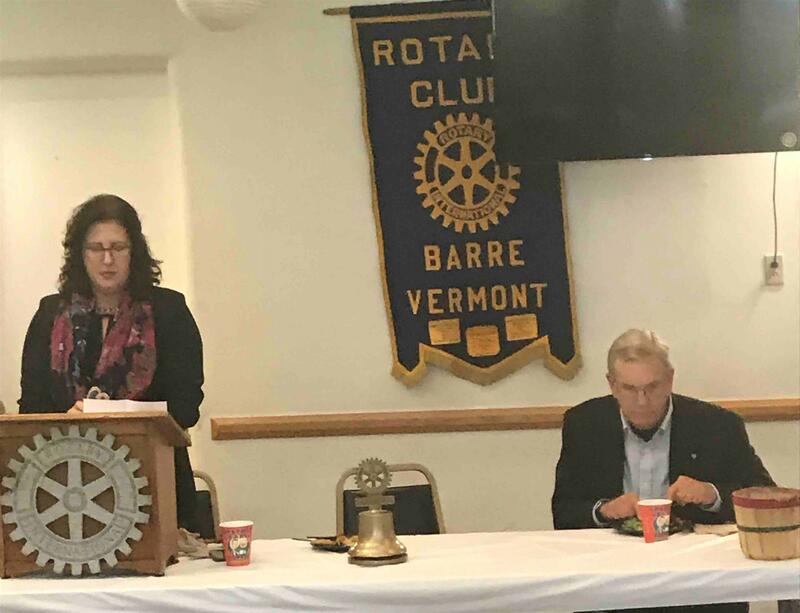 Caroline announced that October 24th is World Polio Day and we will be passing out information flyers on the streets of Barre. 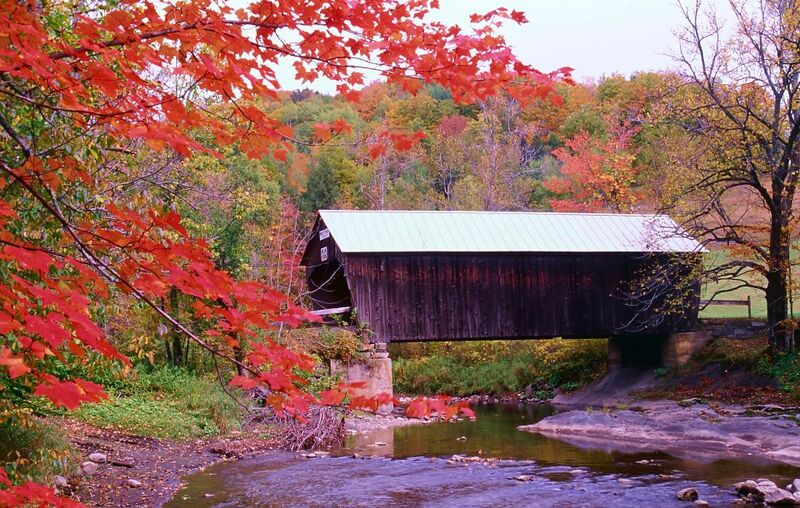 Also,the LEADS Conference will take place on November 10th at Northern Vermont University in Lyndon, Vermont. 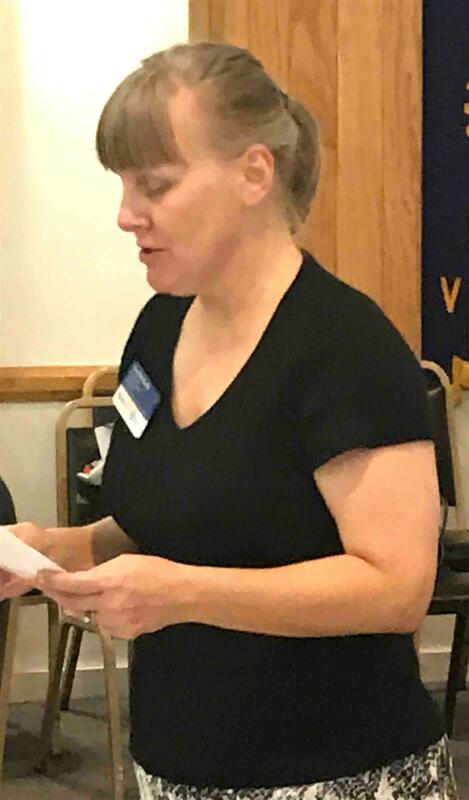 Liane introduced our guest and former Barre Rotarian, Claire Duke who introduced herself as “Nothing has changed; It’s mass confusion.” Here are her remarks. Hands down, no question about it, the best thing about retirement is getting up in the morning and not having an automatic list of 30 things to do, as I had in real estate for 37 years. A surprise has been a rediscovery of the smells of flowers and fields where we live. Walking in the yard I am reminded of smells of leaves and flowers from my childhood walking to & from school…right in the same neighborhood where we live. There are more ups and downs than I expected – most of the time I’m tickled pink, even “giddy” with the thought of a new unencumbered day….but some days, because I was so used to being so busy all the time, I find myself asking myself what I am doing with my life? The tactic of making a daily list and crossing things off, I have found as my friend Nancy Martin told me I would, is very satisfying and fills the occasional sense of void. I have a list of people I’d like to visit with now that I have time – Richard & Dorcas Sawyer, former clients, for instance, with whom I had an almost 2 hour breakfast at Soups showed me photos and told me about some of their 21 trips to Italy, Switzerland, and France and it is a highlight of my recent activities. We are of course “hoeing out and downsizing” the material things in our lives. I know it is not everyone’s idea of fun but I can attest to the fact that it is mine! We find things we forgot we had….we eliminate items that we no longer use… and we are up to the challenging task of finding a variety of homes for the items…..everything gets photographed and sent to our children for first choice and it is fun, fun, fun. Anyone who knows me knows that I love to clean and organize and I cannot tell you the satisfaction I felt when I finally got to the point of being able to hose down the garage floor, standing there in soaking wet socks on a humid day! The epitome of “joy”! I do want to continue that sense of satisfaction I had when I was working for money and, so after a good deal of thinking, I decided I would free myself of regularly scheduled commitments and, rather, pick and choose situations I observed that could use a helping hand. In SC where we have gone for several winters, I’ve taken part in some of the winter programs the library offers there and, from that, decided to see if Lincoln house would like to have occasional movies – my aunt lives there and she & I both thought that might be fun for the residents. After gathering considerable info about licenses you are supposed to get and websites to get a program started and talking with Brenda who runs the place, I learned that the only time available for movies would be after lunch and they all want their naps then and, anyway, movies are too long and they would all likely be asleep by the end. Undaunted, I’ve found other things: I’m getting good at churning up chicken pie for the 30+ clients and staff at the Good Samaritan. I have a renewed interest in cooking and share some of it with a neighbor whose medical needs can be overwhelming. When the list comes out in a Project Independence Newsletter of what they are looking for I set out to gather up as much as I can. These opportunities are literally everywhere. My latest idea during our hot, humid spell is fans for home-bound people who don’t already have them and I think the Meals on Wheels people can probably help to find some folks who need them. I’m not in a position to simply pay for every need I see so part of the challenge is to find a source of funds - and local service clubs and others could, probably not for a large of amount of money, help solve a critical need like fans for shut-ins. I’m carrying an extra pair of 16” tongs in the front seat of my car with the intention of stopping by the state Green Up office to donate them and recommend they urge people to buy their own tongs and so make the Green Up work both easier and safer. The loyal band of Rotary Trash Pickers survived the cut and continues to meet on Thursday evenings at 6:00 p.m. in the parking lot behind City Hall (weather permitting). We are in our 6th year of picking up trash downtown. We work in teams of two for an hour & a half, we’ve all become good friends, and we will again treat ourselves to supper out at the end of the good-weather season, still getting satisfaction in doing something useful for our community. Anyway, as I’ve said for a very long time now, I truly feel like one of the luckiest people on the planet….I have my husband – my every suffering husband who on occasion since I retired has been known to call my attention to a few help-wanted ads from time to time, my children and their families who we love to death, my brother & sister and their families, a career in real estate that was remarkably well suited to me, and now – a new door that has opened called “retirement”.